FLEX Online Continuing Education is a national provider of CEU (continuing education) contact hours for license renewal for PT CEUs and PTA CEUs. Choose your state below to check our board approval status. 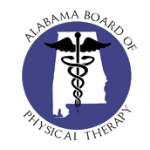 The Alabama Board of Physical Therapy does not pre-approve continuing education providers, sponsors or individual programs. It is the licensee’s responsibility, using her/his professional judgment, to determine if the continuing education activities they complete are applicable, appropriate, and meet the requirements of the Board. Flex CEUs is recognized as an approved provider of continuing education by the Arizona Physical Therapy Association. The State of California requires that physical therapists complete 30 hours of continuing education every two years in order to renew their licensure. 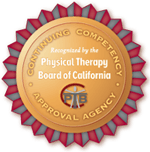 Flex CEUs is recognized as a Continuing Competency Approval Agency by the Physical Therapy Board of California. We recommend you check with your board to see if they will accept our California, New York, Illinois, Pennsylvania, Ohio, or Florida Board approvals. Flex CEUs is recognized as a Continuing Education Provider by the Florida Board of Physical Therapy and also reports course completions through CE Broker - Provider #50-14120. 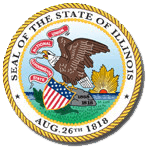 Flex CEUs is recognized as a Continuing Education Provider by the Illinois Department of Financial & Professional Regulation - License No. 216.000269. Flex CEUs has certain courses approved by the Maryland Board of Physical Therapy Examiners. You can view them in our Maryland PT CEUs category. Flex CEUs has certain courses approved by the Minnesota State Board of Physical Therapy. You can view them in our Minnesota PT CEUs category. Flex CEUs has certain courses approved by the Nevada Physical Therapy Examiners' Board. You can view them in our Nevada PT CEUs category. 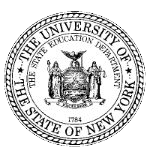 Flex CEUs is recognized as a sponsor for Continuing Education by the New York State Education Department. Flex CEUs has certain courses approved by the Ohio Physical Therapy Association. You can view them in our Ohio PT CEUs category. Flex CEUs has certain courses approved by the Pennsylvania State Board of Physical Therapy. You can view them in our Pennsylvania PT CEUs category. Flex CEUs has certain courses approved by the Tennessee Physical Therapy Association. You can view them in our Tennessee PT CEUs page. Flex CEUs has certain courses approved by the Texas Board of Physical Therapy Examiners. You can view them in our Texas PT CEUs category. Flex CEUs has certain courses approved by the Virginia Physical Therapy Association. You can view them at the top of This Page. How much are Physical Therapy CEUs?